We’ve all heard the saying “it takes two” and when it comes to teaching your teen good driving habits, it couldn’t be truer. Take yourself back a bit if you will and try to remember the first time your parents handed you the car keys. The excitement was nearly uncontainable and the freedom you felt was like nothing you had ever experienced up until that point in your teenage life. National Teen Driver Safety Week starts October 20th and carries on through the 26th. This year, the NTDSW theme is “It Takes Two: Shared Expectations for Teens and Parents for Driving.” Hold on tight with these tips to help you and your teen overcome the (sometimes stressful) training that it takes to become a great driver! Set the bar high. Lead by example by following the rules of the road. Don’t talk or text on your cell phone and always wear your seatbelt. Practice makes perfect. Well…maybe that’s a stretch, but the more practice your teen has at driving, the more likely they are to make good judgments and begin developing habits that will keep them safe behind the wheel. Start by driving during the daytime and slowly graduate into driving at night. Keep track of your training hours by downloading a driving log at http://www.teendriversource.org/index.php/tools/for_parents/detail/42 or by using a phone app like www.timetodriveapp.com. Reward responsible behavior. Reinforce responsible behavior by rewarding your teen with greater privileges that will allow them to become more independent. Set boundaries and expectations. Communicate with your teen and be clear on what you expect from them. Be firm, but also provide an explanation in regards to the do’s and don’ts of driving and help them better understand that it’s not about control, but safety. Be reliable. Showing your teen that you are available for their support anytime and anyplace is essential. Peer pressure can take on many shapes and forms. Make certain that your teen knows they can count on you by creating a code word they can use if they are in an unsafe situation. If they call or text you, pick them up immediately, no questions asked. Know the facts. You’re young, but you are NOT invincible. Teenagers (16-19) are three times more likely to be involved in a fatal accident than all other age groups. In fact, motor vehicle crashes are the leading cause of death for U.S. teens. Educate yourself and know what situations (not all are obvious) can put you at risk. Be involved. Groups like Students Against Destructive Driving (SADD) and Project Ignition provide education and tools that promote good decision making skills when it comes to driving. Let your voice be heard and make a difference in your community! Listen well and don’t resist. Although it seems as though parents just don’t understand, they do. Believe it or not, your parent was 16 once and behind the wheel for the first time too. Sure times have changed, but not too much is different in respect to being a teenage driver. Listen to your parents and be attentive to the direction they are giving you. They aren’t telling you what or how to do something to be mean or controlling. They want you to make the right choices so that you come home safe and sound. Don’t be afraid to call your parents. You may think that your parents will be angry with you if you call them in the middle of the night asking for a ride home. Trust me, your parents want you to be safe and if it means coming to pick you up, no matter what the situation or what time it is, don’t be afraid to make that call. It may save a life, even your own! 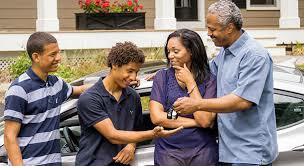 Whether you are the parent or the teen, it takes two to make safe driving a success. Be smart, be responsible, and above all be calm when you get behind the wheel! Distracted Driving – Are You Paying Attention? If you haven’t heard yet, April is “Distracted Driving Awareness” month. Although we aren’t perfect, I think the majority of us consider ourselves to be excellent drivers. Every now and again, however, I think that we can all honestly say that there may be something that causes us to take our eyes off the road, even if it’s just for a few seconds. Whether it’s a text, an incoming call, or even your crying baby in the backseat, it’s a distraction none the less. Although texting is probably the most common thing that you hear about these days, surprisingly, it is not the number one reason with respect to distracted driving. Using data collected from 2010 and 2011, an analysis was performed by an insurer out of Erie, PA. By using some of the top resources and information such as police report data in the Fatality Analysis Reporting System (FARS), a nationwide census of fatal motor vehicle traffic crashes maintained by the National Highway Traffic Safety Administration, and also the Insurance Institute for Highway Safety, the insurer was able to determine the top ten distractions involved in fatal car crashes. Still think texting was the number one reason? Think again! The analysis reported that a whopping 62% of distracted drivers were either “lost in thought” or “generally distracted”….aka daydreaming. When I think about it, I can honestly say that I have definitely been guilty of daydreaming while at the wheel. With the busy schedules we keep and the hustle and bustle of getting from here to there, it’s easy to “zone out” while you are driving. Our minds are in a constant state of thought. Whether you are thinking about what you should make for dinner, wondering if you packed everything you needed for your weekend getaway, or simply trying to decide what exit you want to take, you are putting yourself, your loved ones, and others at risk. So the question now is how do you stop daydreaming and stay focused on the road? There are a number of things that you can do to accomplish this. 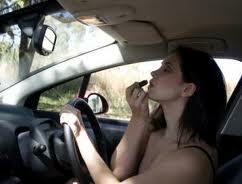 1 – Control Your Emotions: Do not let a fight with a friend or significant other interfere with your drive. Before you get behind the wheel, make the decision to put your emotions aside and make a plan. For example, tell yourself “When I get home, I’m going to call my friend Jenny to vent, because she gives good advice and perspective”. 2 – Pump Up the Jam: Put together a playlist or cd with music that gets you going. Songs that have 100-175 BPM (beats per minute) can help keep you alert. 3 – Let Some Air In: Open your windows. Seat warmers and heaters during the winter months, although cozy, can relax you right into the thought of being snuggled up in your own bed. Crack the windows, even if it’s just for a few minutes. Just like a cold shower can wake us up, so can a blast of cold air. Whether it’s daydreaming, texting, or putting on your lipstick, there is no doubt that distracted driving is a growing epidemic. Be mindful of how you are feeling, both physically and mentally, before you start the ignition. Consider your drive a mission, even if it’s just to the grocery store, and get from point A to B in one piece. Carry on and drive safe! State Liability Limits – What Are You Really Saving? Most of us know that each individual state requires that you carry auto liability insurance. In the state of Arizona, you are required to carry at the least 15/30/10. To break it down, what this means is that you have up to $15k (per person) and $30k maximum (per accident) for BI (bodily injury) should you cause injury to someone during an accident for which you are at fault. The $10k is the maximum coverage for PD (property damage) that was caused by you. Although your premiums for this type of coverage are very cheap and may be within your tight budget, there are several things to consider before making a quick, impulsive decision that might end up haunting you for the rest of your life. The average cost of a vehicle these days is a little over $30k. Sure, you wouldn’t be responsible for the cost of a brand new vehicle if you caused an accident because we all know that the value of a car depreciates immediately after you drive it off of the lot. In fact, the average cost of an accident in which there is ONLY property damage was $9078 in 2011, according the AZ Motor Vehicle Department. You have $10k in coverage, no big deal, it’s just under your limit right? Keep in mind that this is an average figure only! This doesn’t guarantee that any damages caused by you won’t be over $10k. 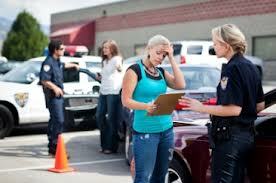 You should also consider that property damage is not just limited to someone else’s vehicle. You can damage a number of things…a lamp post, a yard, or even a house. PD coverage also pays for your legal defense costs if you are sued as a result of these damages and you don’t need to be an expert to guess how much that could run you. Now it’s time to get serious and address bodily injury. If you have the required state liability limits in the state of Arizona, then you are covered up to $15k (per person) which maxes out at $30k (per accident). We all know that accidents happen and according to the AZ Motor Vehicle Department, the average cost per incident in 2011 in regards to BI was $22,746 and this was just for Non-incapacitating injuries. The average cost per incident for incapacitating injuries jumps to $70,854 and the average cost per incident for accidents that involved fatalities was $1,438,200. I don’t think anyone is in disagreement that 15/30 is definitely not enough BI coverage for anyone. What can you expect if your insurance coverage comes up short? It’s simple really. If the amount of BI and/or PD exceeds the limits of your coverage, you are at risk of being sued. Depending on the amount in which you are sued for, you can potentially have your wages garnished for the rest of your life. Think for a moment of the victims as well. Not only have you disrupted your own life financially, mentally, and possibly physically, you have also disrupted someone else’s life in the same manner. Think of it in terms of your family and if the tables were turned. It’s not something we are necessarily comfortable thinking about, but what would the implications be if someone caused an accident involving you or your family members and they did not have the coverage to make you whole again? It’s a disturbing scenario. We choose not to write state limits for any of our clients. It’s something that we feel strongly about and believe it is in the best interest of our clientele to carry liability limits of at least 100/300/100. If you currently have state liability limits, ask yourself “How much am I really saving in the long run?” There is no better time than now to get with your agent or insurance carrier to discuss increasing your auto insurance limits. Be safe, but most importantly, be protected! Call our office for a free quote today at 480-288-5900! These days you can buy nearly anything online, even your insurance. Although it may seem like you are saving time and money by obtaining a policy online, it may not be so convenient later. One of the biggest advantages of working with an agent is that they have time to sit down and talk with you, in turn allowing you to establish a one on one relationship. Just one visit with an agent can prove to be beneficial in respect to knowing what your options are and choosing the best possible coverage that fits your needs. In addition to this, based on your answers to a few simple questions, an agent is able to find possible discounts that you may be qualified to receive. Purchasing insurance can sometimes be stressful and an agent can alleviate some of that stress, if not most of it just by understanding and being able to relate to you. After all, we are human and it’s comforting to know that someone has your best interest at heart. Ben Franklin said it best, “Time is money”. Although an online agency provides you with a phone number where they can be reached, you may not be able to speak with a live person. I’m sure that we have all experienced the downfalls of 800 numbers and the “customer service” they provide. One could spend 30 minutes or more being looped from one automated message to the next only to reach a live person who ends up transferring you somewhere else. Being able to reach your agent by phone without having to guess which automated option to choose can save you both time and aggravation. 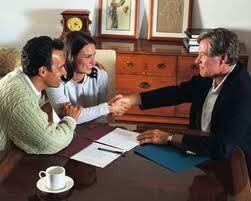 One final advantage to working with an agent who is local is that they can work with you in regards to your coverage. They can adjust your limits and/or deductibles without sacrificing the important coverage that you need resulting in a policy that is tailored just for you and your pocketbook. Online agencies give you the freedom to choose the coverage you want according to what you can afford, but an agent can recommend coverage that will protect you and your family all while keeping you within your budget. For example, the required liability coverage amounts in the state of Arizona are 15/30/10. Sure, you may get a huge savings up front, but will you pay for it in the end? If you cause an accident which results in bodily injury more than $15,000 or property damage more than $10,000, you are financially responsible. Just to give you an idea, according to the National Safety Council, the average cost of injury in a car accident is $61,600 and the average price of a new vehicle is a tad over $30,000 according to Forbes. Saving a couple of dollars by reducing coverage could cost you thousands in the long run. With all of the decisions that you make in life, don’t let choosing the right policy overwhelm you when you have an agent right who is right around the corner. Make an appointment today by calling us @ 480-288-5900. We can help you protect what matters most! Difficult Decisions – Is It Time to Take Away the Keys? Life is full of difficult decisions, many of which are emotionally charged and require us to help make choices to protect those we love. Having a discussion with an elderly loved one about their driving ability and safety can be awkward to say the least. Avoiding or turning a blind eye to the topic will only hurt your loved one and put both themselves and others at risk. Although it may be uncomfortable, it’s necessary to know when and how to engage in conversation. Dialogue between family members is encouraged. Being pro-active and holding a discussion prior there being a problem can reinforce driving safety issues and can allow time for the older adult to consider and modify their driving skills. During a survey, more than half of the older adult participants expressed willingness to take suggestions about driving safety simply because someone had talked to them. If you have difficulty or encounter extreme resistance, consider having additional conversations with family members, doctors, or even law enforcement officials if necessary. Depending on the situation, a doctor may take a primary role in the assessment by evaluating the patient’s visual, cognitive, and motor skills. Some may even refer a concerned patient to an independent party or therapist who is qualified to perform a comprehensive driving evaluation. Aside from family, 27% of older adults that are married and 40% single or widowed prefer to hear from their doctor about whether or not they should be driving. In extreme situations, when an older driver refuses to respond to any type of conversation, you may have to consider more extreme measures. Cancelling registration, insurance, or having a driver’s license revoked may seem like a good plan, however, this might not prevent the older adult from continuing to operate a vehicle. Although it can seem aggressive, disabling the car, filing down keys, or taking the car away may result in a safer and more final outcome. Limiting or giving up driving altogether for an older adult is a delicate issue that requires an enormous amount of love and support from friends and family members. Like many of life’s decisions, it may be difficult at first, but the transitioning of your loved one from a driver to a passenger will gradually occur over time. Being involved and helping to incorporate this change in an older driver’s life can give yourself and your entire family peace of mind. Start your conversation today! These days it seems like everyone is in a hurry to get everywhere they need to go. By the way many of us drive, you might think we have someone in the car that is hurt and in dire need of an emergency room because we act as if mere seconds may make the difference between life and death. Sadly, most of those times, we are just going where we need to go. This kind of aggressive, me-first, take no prisoners style of driving often leads to road rage, which the NHTSA estimates is a contributing factor in a third of all car accidents and two-thirds of car accidents that result in a fatality. Whether it is our busy lives, increased traffic, or just the fact that we are used to driving this way, everyone on the road needs to do their part to stop aggressive driving and eliminate road rage. Not only is this type of driving dangerous and illegal, many auto insurance policies contain exemptions for accidents caused by road rage. This means that if you are the one raging and you cause an accident, you are on your own; the insurance company won’t cover the damage. Don’t let your temper get the best of you by following these tips for keeping your anger from affecting how you drive. One of the most common causes of aggressive driving is being late. When we are trying to get somewhere and the clock is ticking and there isn’t enough time to make the trip, we get stressed and try to make up the time by passing and speeding. Don’t put yourself in this position, leave early, make sure you have plenty of time, and if you are late, remember that no matter how important it is that you get there on time, it is not more important that your life or the life of someone else. Another contributing factor to aggressive driving and road rage is when we develop an Us vs. Them attitude towards the other drivers on the road. If they are in front of us and going slower than we want to go, we think they are doing it on purpose. If they merge poorly, and cut us off, they did it on purpose. If they are driving too close to us, they are tailgating us. While sometimes these things are true, sometimes they aren’t. Sometimes other drivers are just not paying enough attention to how their actions are affecting the cars around them. Give them the benefit of the doubt and assume that they are clueless rather than deciding that they are your enemy. Take a few minutes to think about how you drive. Are you the driver that drives just under the speed limit on every road? Do you find that other drivers seem to become aggressive towards you on a regular basis? Even if you aren’t the one who is getting mad, you might be contributing to the problem. Pay attention to how you are driving and make sure you aren’t the one everyone else has to give the benefit of the doubt. Aggressive driving and road rage is everyone’s problem. Pay attention, drive courteously, and remember that everyone on the road is just trying to get where they are going in the shortest amount of time. Winning the battle against road rage starts with you. It’s hard to remember that there was a time when children rode around in cars completely unencumbered. No car seats, no booster seats, and much of the time, no seat belts. It is hard to fathom how that could have been the norm now that we know just how dangerous it can be for children to be unsecured in a collision. In fact, even now with all the safety measures we have in place, the National Highway Traffic Safety Administration reports that car accidents are the number one cause of death for children between the ages of 1 and 12. Imagine how much higher than number would be without all the safety precautions we have in place. While we can all agree that taking the right measures to keep kids safe in cars matters, we don’t always know the best way to keep them safe. The NHTSA recommends all drivers who have occupants under the age 18 follow these general guidelines. Pick a car seat that is the right type for your child’s age and that is the right size to fit them. Pick a car seat that fits in your car and is easy to use so that you will use it every time. Follow the car seat manufacturer’s instructions for installation and use. Read the owner’s manual for your car to determine if there are any special features for use with car seats or special practices related to their use. Don’t let children under the age of 12 sit in the front seat. The ever changing array of child safety seats and laws that are different in each state, you may be unsure if your child or grandchild is properly secured. Car seats are specifically designed to keep children of specific ages and sizes safe during a collision. The basic recommendations are as follows? Birth to 1 Year – Children in this age group should always ride in a rear facing car seat. As there can be significant differences in size and weight between infants and children approaching their first birthday, there are different kinds of car seats that enable safe riding in the rear facing position. You can also get car seats that can grow with your child and can be converted to accommodate rear facing positions and forward facing positions. Age 1-3 – While it is best to keep your child in the rear-facing position as long as possible, once they reach the height or weight limit for the rear facing seat, they are ready to move up to a forward facing seat. Age 4-7 – Children should ride in the forward facing seat with a harness until they reach the maximum height or weight limit for their seat. At that point they can transition to a booster seat. Age 8-12 – It is best for children to ride in a booster seat until they are big enough to fit in a regular seat belt properly. This means that the lap belt fits snugly across the upper thighs and the shoulder belt goes across the chest and shoulders. For all the ages above, the child should still ride in the backseat as that is the safest place for them to ride.